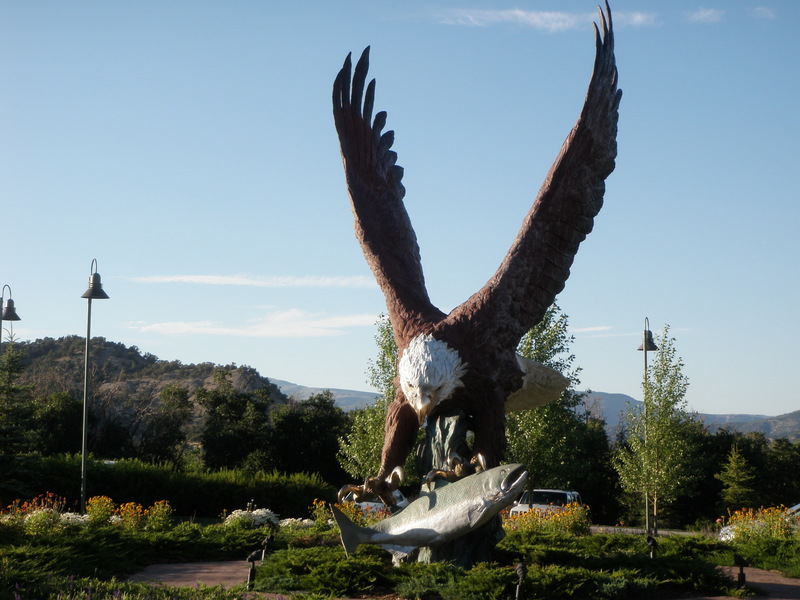 Dave G. called the owners of some private land that covered both sides of Brush Creek within Eagle Ranch and obtained permission to fish on Saturday morning. Jane had arrived on Friday, and she and Beth were going to walk to some shops in Eagle during the morning while we fished. Dave G. and I set out walking on the paved path within Eagle Ranch. We walked a good distance south and then entered the creek just below the spot where I’d had so much fun by the undercut bank the previous summer. I tied on the gray Letort hopper and trailed a beadhead hares ear nymph. I decided to be much more cautious in my approach on Saturday and it paid off. When I approached long runs and pools, I cast from quite a distance below the lip. I also cast as close as I could to the bank. This was tough fishing and required long accurate casts tight to the bank. If I erred on accuracy, and I did a few times, I’d hook the tall grasses that lined the bank. I managed to land five brown trout fishing in this manner. All were in the 12-13 inch size range so they were nothing to brag about, but I was still proud to land this many fish under such demanding conditions. I also had two hookups with fish that felt a little heavier, but I was unable to land. 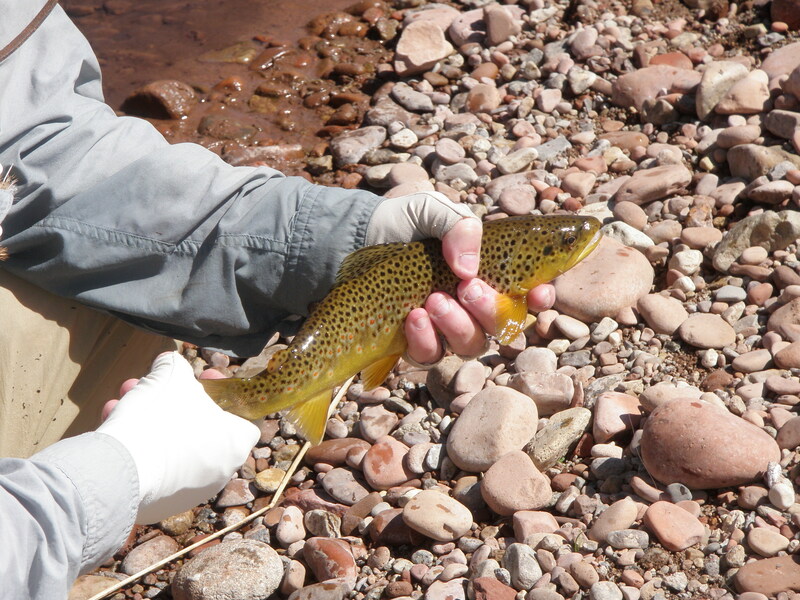 One of the trout took the hopper on the surface, and the remainder grabbed the subsurface beadhead hares ear offering. While we were on the private land, the owner startled me and appeared out of nowhere. He asked if we had permission, and I replied that my friend Dave G. had called, and he should talk to Dave G. The owner’s name was Bill and he walked over to Dave G. who informed Bill that he had called and received permission from his wife. Everything was smoothed over, and we had a friendly chat with Bill. 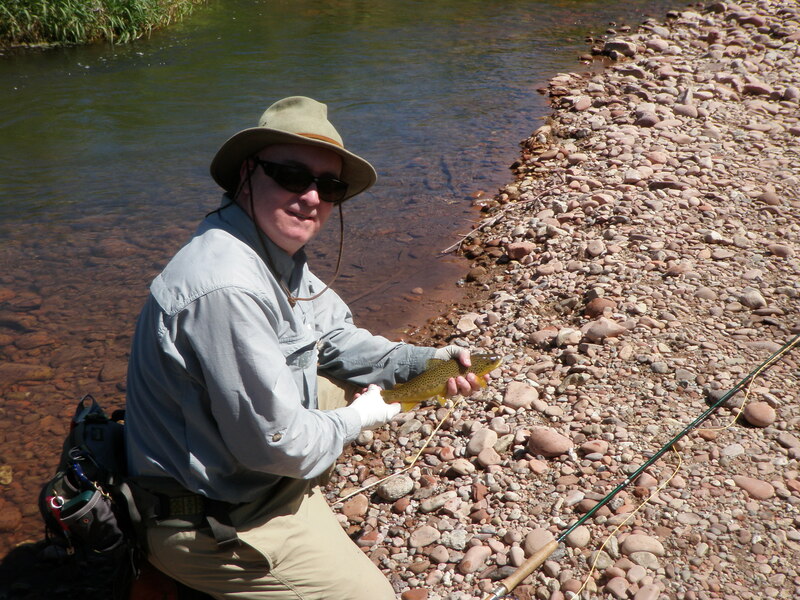 Meanwhile Dave G. was having less success than Friday, although by the end of our time he’d landed a couple nice browns and accumulated a similar count of trout. 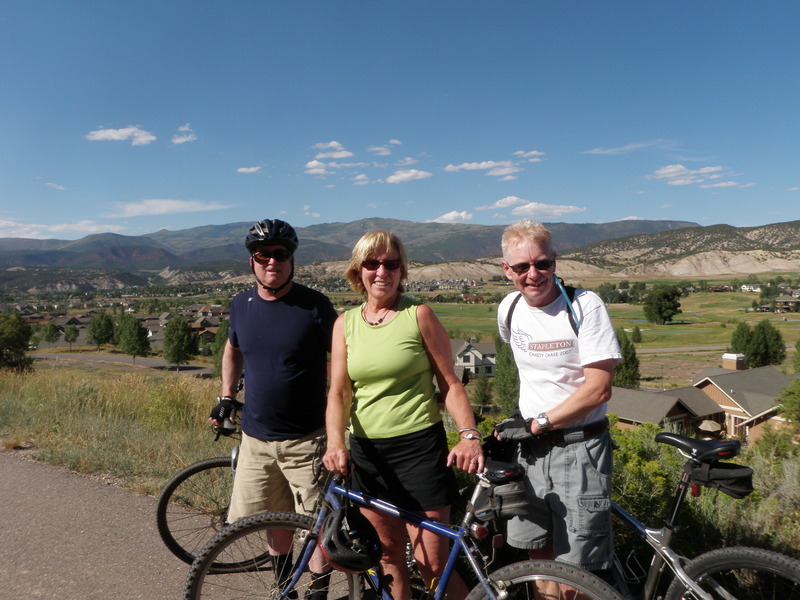 We returned to the house at 12:30PM and had a nice lunch and then relaxed before doing a bike ride in late afternoon. For dinner we drove south on Brush Creek Road to a resort called Adam’s Rib. Adam’s Rib was more luxurious than a Ritz Carlton in my opinion. 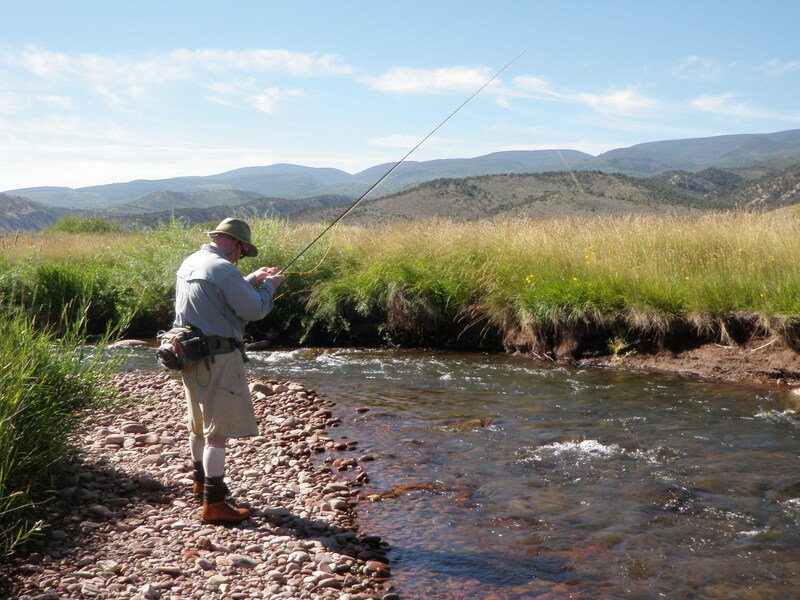 This entry was posted in Brush Creek, Fishing Reports by wellerfish. Bookmark the permalink.